Coming out at work for a transgender person can be one of the scariest parts of their career! You have no idea what the reaction is going to be; you could get fired on the spot or they cut your work hour’s way back until you have to find another job. You could be forbidden to use either of the employee washrooms; forcing you, like my own personal experience, to relieve yourself outside the building somehow! This kind of stress can give you and ulcer, and if your co-workers do not accept you then get ready for work to become a living hell. You have to be very careful and try to find out people’s attitudes about transgender people where you work; you may have to start looking for alternative methods of employment. On the other hand you may find that your workplace is very accepting of transgender people and very supportive of you transitioning at work. It can go either way or somewhere in between; so here are some things to consider when you are planning to come out at work as a transgender person. No easy way: There’s no easy ways to come out at work. You’re not just going to go into your boss’s office or the HR department, tell them and expect to have everything be fine and go smoothly. So prepare for a bumpy ride; some people are not going to be accepting or supportive, some may even be downright nasty. Legal issues: Hopefully there are going to be laws in your county, state, province or country regarding protecting the transgender community. 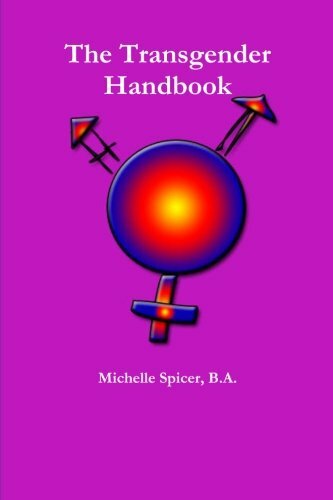 Try to find out as much information as you can about the laws pertaining to gender identity and transitioning at work. If there are none then you are going to be at the mercy of your employer who can simply fire you for being transgender. Consider moving to a location that has protection laws for transgender people before you transition. Company policy: Inquire discretely at work regarding their policies towards transgender employees and transitioning at work; it will help to give you some idea about what to expect. Fellow employees: Talk to your fellow employees about their attitudes to transgender people; even though the management may back you up, your co-workers can make your life a living hell is so many ways. Go slowly: You don’t want to expose yourself too quickly to your fellow employees; this is a very vulnerable time so don’t just tell everyone at once and expect everyone to be on side. You have to get the management on board first and then start dressing more like your real self slowly little by little to give people a chance to adjust. Remember you can boil the frog slowly and it will die, but if you throw the frog into a boiling pot the frog will reject the hot water and leap out to escape. So it is with people, you have to warm them up to the idea slowly so they can adjust and accept you; be patient and give them time to adjust. Be cautious: Be cautious of the people at work while you are transitioning. Some people are going to accept you completely but the majority of people will react badly or just be confused and not sure how to react to you at all. They become uncomfortable and try to avoid you; this can affect communication in the workplace and that can be a big problem. The bathroom issue: Find out as soon as you can what the rules are going to be in regards to what bathroom you are required to use; also make sure that the management and the rest of the staff are aware of them also. You don’t want people getting upset that you are “invading” their private space without warning. This is a huge issue so try to deal with it carefully; it could be the tipping point to you getting your walking papers. The pronoun issue: As you continue along with your transition, change your name and become more passable; there are going to be issues with people using the wrong pronouns when referring to you. You have to be patient and gently remind them to use the right pronouns until eventually they fall into place. Some people are going to get the idea right away and some people will use the improper pronouns as a jab or insult; so be ready for that. Hold your cards: Don’t over expose yourself and your personal issues to your co-workers. It’s ok to have friends and allies at work just don’t tell them every single little secret; this could backfire and you become the center of gossip and harsh whispers. Be positive: Go into work with a positive attitude and show your co-workers that you are confident and happy with the situation. You don’t want to let them see you coming to work disheveled and depressed; people like people who make them feel good and feel good about themselves. So be the bright light that comes to work every day with a big smile and great enthusiasm for your company and your fellow employees. People will be way more accepting if they see that you are happy and have accepted yourself. There are many things to consider when you are going to transition in the workplace. The entire workplace situation for you is going to change in almost every way so be prepared for the unknown. Anything can happen in the workplace that may lead to harassment, discrimination and ostrification so please make yourself aware of the entire possible outcomes for your transition. Be ready to look for another job or even area of the country to live in. Remember your transition may be the most important thing you’re facing in your life right now and it’s going to be a bumpy ride; at work and during you’re off hours. Keep your chin up, keep looking toward your goals and be good to yourself. This is not the only job you are going to have, but it is the only time you’re going to be transitioning; enjoy the most spectacular, exciting and wonderful time in your life. Well done for tackling such a sensitive, yet important issue so successfully.